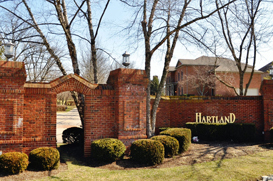 Hartland is a popular subdivision south of Lexington, Kentucky, and a beautiful place to find the right home. Open farmlands surround the area, yet the city is only a short drive away. Within these attractive settings, you can find a wide range of family homes that suits all tastes and budgets. First-time buyers can find opulent homes with all the amenities and second-time buyers looking to make an upgrade can find stunningly spacious houses overlooking a vista of Kentucky farmland. All of Hartland real estate has the advantage of being located near good schools, popular recreation areas, and shopping malls. And best of all, Hartland real estate is nearby Lexington, which provides you with the opportunity to share in all the festivals and shopping the big city has to offer. Typically, homes in this area command a spacious residence of up to 5,000 square feet. Inside, you can find features like teak wood floors, gourmet kitchens with Downsview cabinets, quartz countertops, and Miele appliances. Other features may include family rooms, recreational rooms, skylights, basements, and security systems. If you’re looking for something more, our Premier residences offer home theaters, granite countertops, gourmet kitchens, and fenced back yards. These homes are state-of-the-art residences with excellent millwork, luxurious spa-baths, gourmet kitchens with Viking ranges, master suites with fireplaces, and billiard rooms. Situated on beautifully landscaped lots, these homes also have 3-car garages and large covered porches – everything everyone needs to lead a luxurious lifestyle. Another subdivision, Hartland Gardens, contains a variety of impressive properties. The majority of homes here are 2-story houses with master suites on the first floor. Features you’ll enjoy are custom cabinetry, private patios, fireplaces, and island bars in the kitchen.